For the 2016 Kia Forte in High Point NC, there will be two transmission options available, a 6-speed manual or a 6-speed Sportmatic automatic. Under the hood, the 2016 Forte has two different engine options. The first is a 1.8-liter MPI, 145-horsepower 4-cylinder and the other is a 2.0-liter GDI, 173-horsepower 4-cylinder. The 2016 Forte has plenty of great comfort options available to customers including a 10-way power-adjustable driver’s seat, dual-zone automatic temperature control, leather seats and more. There is plenty of great technology options available in the 2016 Forte like the UVO eServices infotainment system, SiriusXM radio, Bluetooth, Navigation, a power sunroof, and a rear camera display. Some of the enjoyable standard controls in the 2016 Kia Forte include steering wheel-mounted audio control, power windows, air conditioning, and power heated outside mirrors. The 2016 Kia Forte is expected to have fuel numbers similar to the 2015 model, which achieved 39-mpg on the highway and 26-mpg in the city with the 1.8-liter engine, and 36-mpg highway and 26-mpg city with the 2.0-liter. 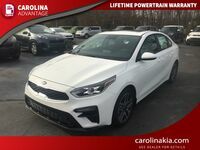 One of the funnest, quickest, most fuel-efficient vehicles in the Kia lineup is back for 2016, and it is packing more punches than ever before. 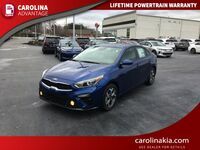 The 2016 Kia Forte in High Point NC is once again offered as a four door sedan, and despite being labeled a “compact” car, it continues to be an extremely spacious vehicle. It can comfortably seat five with over 96 cubic-feet of interior volume for passengers to enjoy. 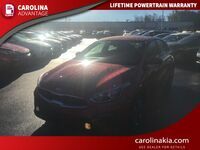 The space won’t be the only thing that passengers will be able to enjoy inside of the 2016 Kia Forte in High Point NC. There are plenty of great comfort and technology features that make the Forte a fun vehicle to be inside. Leather seats, heated seats, dual-zone temperature control with rear vents, and much more are all there for everyone in the vehicle to enjoy. Meanwhile, the interior technology like the UVO infotainment system, a USB input jack, tweeter speakers, and a power sunroof will help make any road trip fly by much quicker. 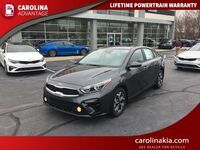 What drivers will truly enjoy about the 2016 Kia Forte in High Point NC is the return of its two popular engines from the 2015 model. The first is the fuel-efficient, 145-horsepower, 1.8-liter engine, that is capable of getting almost 40-mpg on the highway when it is equipped with the six-speed automatic transmission and just a little less when equipped with the 5-speed manual. Meanwhile, the 2.0-liter engine returns once again, once again touting 173-horsepower and 154 pound-feet of torque. This makes it slightly more powerful than the 1.8-liter, and comes standard with the 6-speed Sportmatic automatic transmission. It will still achieve great fuel mileage, and gives drivers that added zip that they are often looking for, without out going overboard and putting more in the driver’s hands than they can handle..